The Winnipeg Humane Society (WHS) supports the upcoming proposal by the Manitoba Veterinary Medical Association (MVMA) council to amend their current bylaw to restrict declawing from being performed by Manitoban veterinarians. Veterinarians licensed to practice in Manitoba will be voting on whether to ban the procedure in early 2019. As such, the WHS is sending out a call to action for the general public to ask their veterinarians to vote in favour of the bylaw amendment to prohibit declawing procedures. The WHS opposes declawing (partial digital amputation) procedures in cats for non-medical reasons. 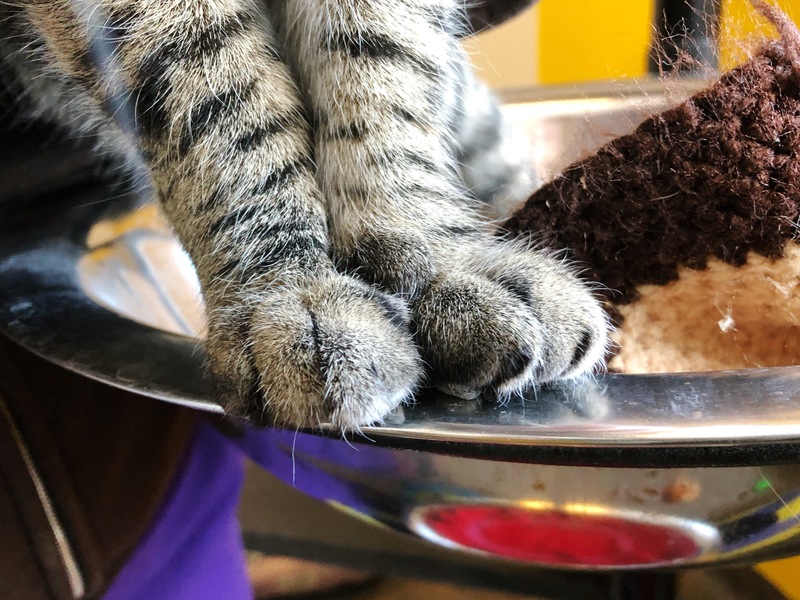 Declawing is an invasive surgical procedure that removes the claw and bone digit (third phalanx) on either both front feet, or all four feet, on a cat. Behaviour training, nail trimming, artificial nail covers, feline pheromone sprays, environmental enrichment, and re-homing if necessary. Nationally, the practice is currently banned in Nova Scotia, PEI, New Brunswick, and British Columbia. Prohibiting declawing procedures ensures that Manitoba takes yet another step forward in becoming a progressive leader in animal welfare. *Hellyer P, Rodan I, Brunt J, Downing R, Hagedorn JE, Robertson SA. AAHA/AAFP pain management guidelines for dogs and cats. J Fel Med and Surg 207;9:466-480.